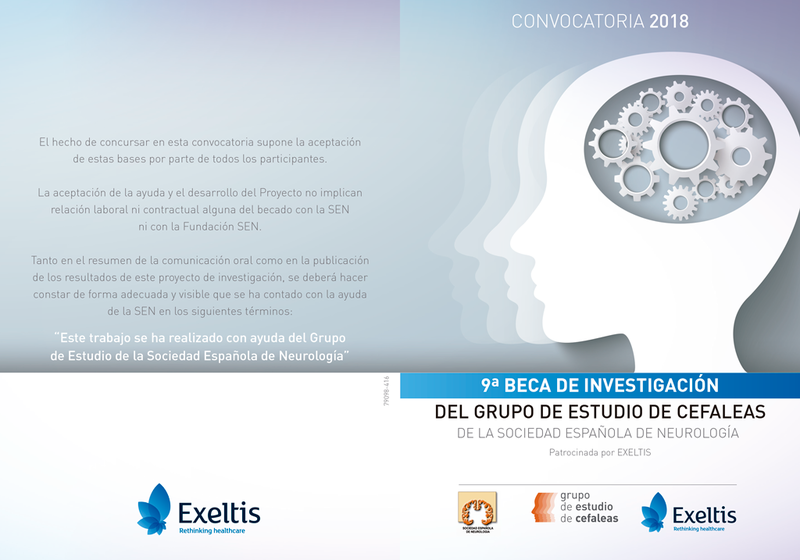 Access to the Official Diagnostic and Therapeutic Guidelines of the Headache Study Group of the Spanish Neurological Society. Information about meetings and symposia in headache. Information about grants and competitions in headache at a national and international level. Collaborative research platform of the Spanish Headache Study Group: collaborative research projects, offer and ask for resources to do research in headache. The Brain Foundation focuses on the dissemination and awareness of the problematic that the patients who suffer from neurological disorders and their families have with the ultimate goal of increasing the wellbeing of those affected by these disorders. Organizes the information in headache making it accessible and practical for those who are interested, offering resources to enhance the communication between patients and physicians. This is a collaborative website of the knowledge in neuroscience and neurology. Training courses and other contents about neurological diseases. De entre los cinco mejores trabajos presentados al concurso, el primer guion premiado ha sido ‘Lo tienes en la cabeza’, de Mª del Carmen Arcos Conde, mientras que ‘Huyendo del Guernica’, presentado por Diego Vicente Jiménez Yáñez, ha sido el escogido para su filmación.